GrandWild Casino goes by the slogan, “you can’t win it unless you’re in it”. 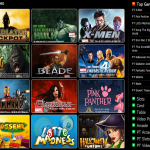 This Net Entertainment powered casino only launched just last year, and has already found quite an audience across the globe, being playable in many parts of the world, primarily in thanks to their Curacao license. Like all NetEnt powered domains, GrandWild Casino can offer mobile casino gaming via it’s NetEnt Touch platform, as well as browser-based instant play casino gaming. 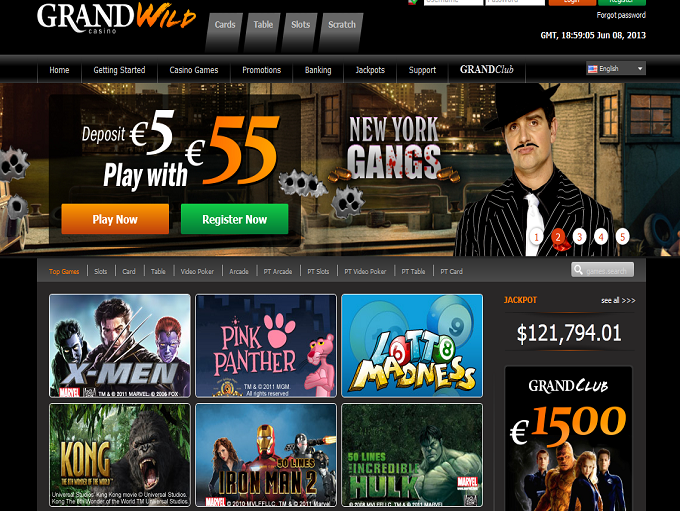 Gameplay at GrandWild Casino is available in a multitude of languages, such as English, German, Norwegian, Russian and Swedish. Players can also select various currencies to play with, including UK pound sterling, euros, US dollars, and New Zealand dollars. The casino is also a safe and secure place to play, being iTech Labs certified. 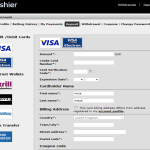 Players can deposit using some top banking options such as MasterCard, Neteller, Paysafecard, Skrill, and VISA, and can obtain customer support via FAQ, live chat, or e-mail. Their support team is on hand to assist you in any way that they can. After registering as a new player, newbies can choose from two welcome bonus offer. Desktop users can snap up a welcome bonus worth up to £200, as well as 200 free spins on the Gonzo’s Quest or Dead or Alive slots. Mobile users can pocket a £200 bonus plus 200 free spins solely on the Gonzo’s Quest slot machine game. Other promotions and bonuses you will find at this casino include a free £5 no deposit bonus with registration, as well as reload offers which can see you pocket 200% bonuses on subsequent deposits, as well as 50 free spins on slots at this casino. Grand tournaments also form part of the promotional package at this casino. 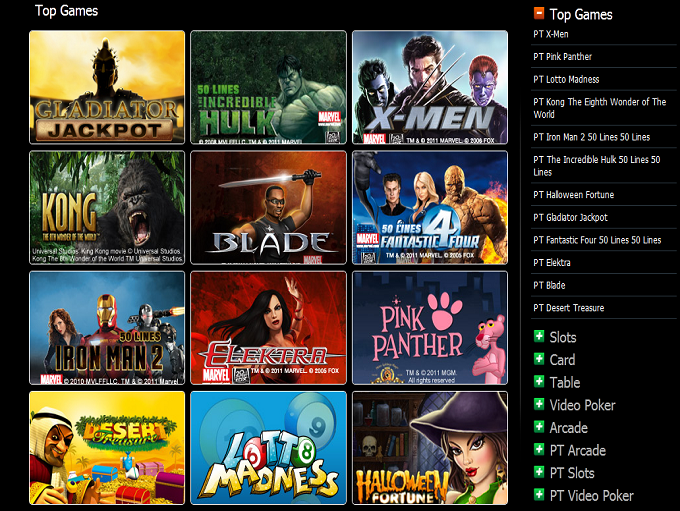 GrandWild Casino is powered by Net Entertainment, but they certainly aren’t the only developers to offer software over at this casino site. 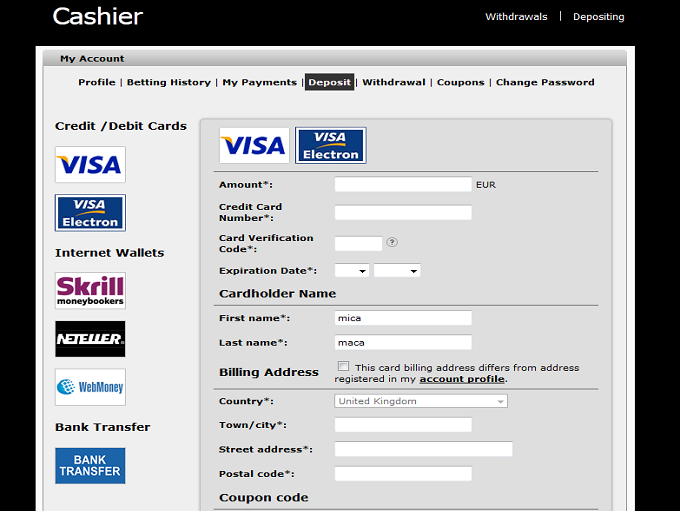 Players can also expect to be able to find games from GamesOS as well as Microgaming. A few other titles from iSoftbet, Playson, and even Playtech are also scattered about the place. 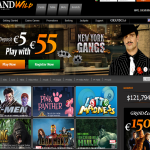 GrandWild Casino is not a casino which really favours table games, although they do offer them. A handful of baccarat, blackjack, craps, roulette, table poker and video poker games can be found in the site, as well as a top selection of live dealer casino games. Of course, most players love their top slots. You’ll be able to find awesome games such as iSoftBet’s film spectacular – Platoon Wild – at this casino, as well as new slots such as 24, Cherry Trio, Robo Smash, and Forest Mania. The following countries are restricted at this casino: Belgium, CW, Cyprus, Denmark, Spain, France, French Republic, French Guiana, Guadeloupe, Hong Kong, Israel, Italy, Latvia, Martinique, French Polynesia, Reunion, Turkey, United States.